Jonathan, Allison and granddaughter, Rachel, were home for the weekend. On Friday morning Jonathan and I went to the woods and walked a couple of trails with thoughts of finding a ruffed grouse. We saw no grouse, but it was a great morning for a walk. There is still a lot of cover for the birds. 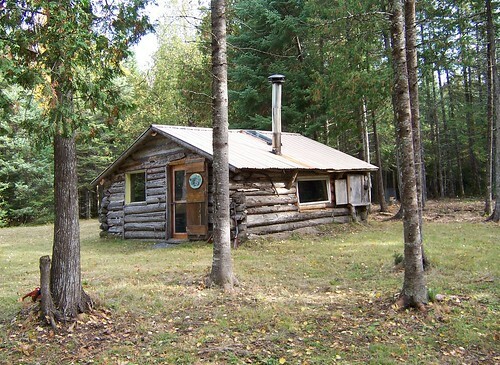 A highlight of the morning was a walk into a cabin owned by a gentleman named Martin. He happened to be there and we had a nice visit. 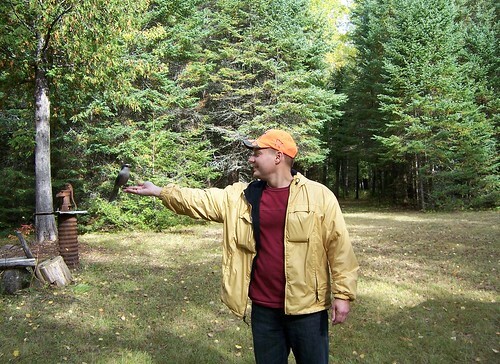 Martin has some birds that are comfortable around him and a Gray Jay came by for a handout. It flew down and sat on his and Jonathan’s hand for a treat. Friday afternoon we fished the river for a while. It was breezy, but a nice afternoon to be on the water. 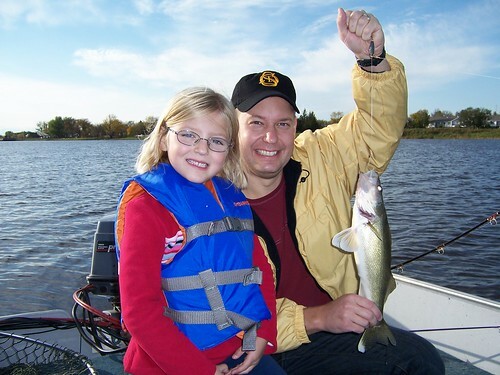 Jonathan caught his limit; four walleyes and two sauger. 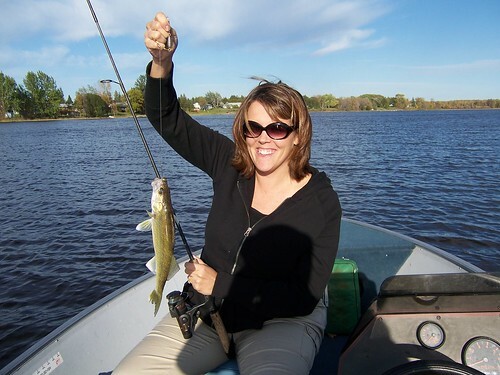 Allison caught a nice walleye. I guess that Rachel and I were along for moral support.